The amino acid ornithine is simply made in the body from the amino acid arginine during the production of urea. This process is commonly known as the Krebs cycle. Ornithine, with arginine, has been known to promote muscle growth by stimulating growth-promoted hormones such as Human Growth Hormone (HGH) and insulin. 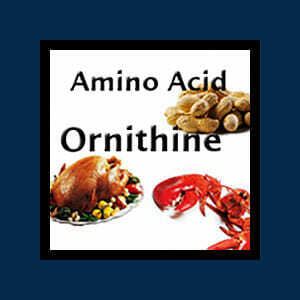 Ornithine, as with arginine, has been largely studied for its effects on wound healing, burns, and infections. It has also been shown to be effective in treating those with hepatic encephalopathy (from cirrhosis of the liver) resulting in brain abnormalities (hepatic encephalopathy). When looking for an ornithine supplement, always look for the “L” in front of the name, l-ornithine. The “L” signifies that the amino acid is in ‘free form’ and is the only form you should take as a supplement. Therapeutic dosages of l-ornithine range from 10 grams – 30 grams per day (usually in split dosages). These higher dosages are usually used for accelerated healing of wounds, burns, and recovering from an infection. The typical dosage of l-ornithine for relief from parasitic die-off is 2 grams – 10 grams. However higher amounts may be used. Often you see l-ornithine together with l-arginine. Arginine is actually the precursor of the non-essential amino acid ornithine. Many have found that Arginine is best taken during the day whereas ornithine is best taken at night. For some, arginine acts as a mild stimulant, whereas ornithine seems to have a more relaxing effect. For those who do not experience the stimulant or relaxing effects, formulas that have both amino acids are common and work well together. L- ornithine has no known toxicity. With some of the higher dosages, some gastrointestinal symptoms could occur. This is best avoided by increasing dosages slowly, and reducing the dosage if any GI symptoms occur.